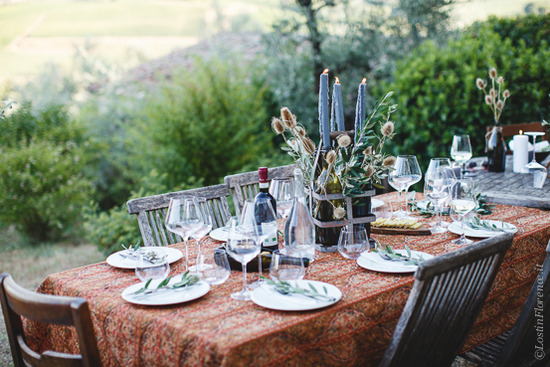 One of the classic ideals of a Tuscany experience is dining under the Tuscan sun, or at sunset, one of the most stunning times of the day in this region of Italy. 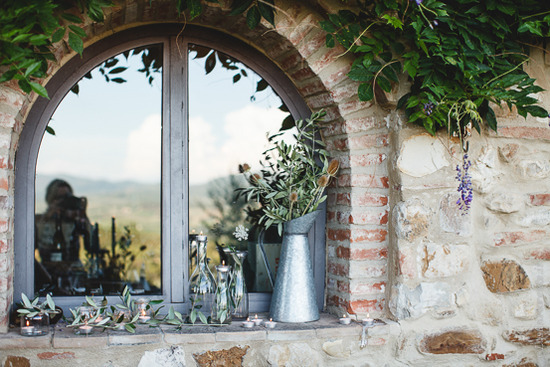 There is something magical about the light, how is softens over the landscape turning the colours of the vineyards, olive groves and old stones cottages into a warm hew beyond a postcard perfect image. This region is also famed for its produce with wine, olive oil, meats and cheese leading the charge plus seasonal fruits and vegetables to indulged in at any time of year. And now, the collective talents of KM Zero Tours, with EaTravel have joined forces to create a dinner event to remember. Maria and Tania are the brains, and beauties, behind EaTravel, a project dedicated to slow living, with unique events taking inspiration from nature plus the enjoyment of wine, food and travelling. 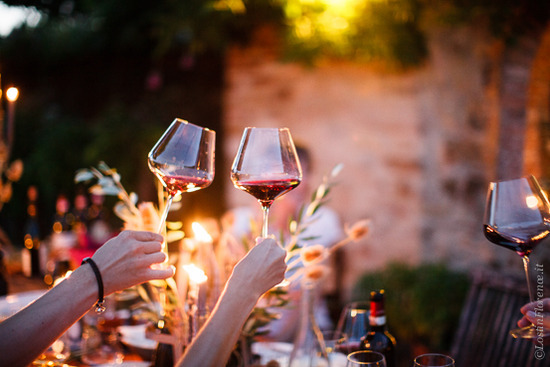 They have developed a number of beautiful gatherings worldwide including their latest in Tuscany to showcase the landscape and food working with local producers to create a stunning Tuscan dinner with sommelier Caterina Tiurina to match the perfect wines to dishes. As Maria explains the concept is to celebrate “travels around the table” collaborating with small, organic, local producers and promote them through their memorable evening events. 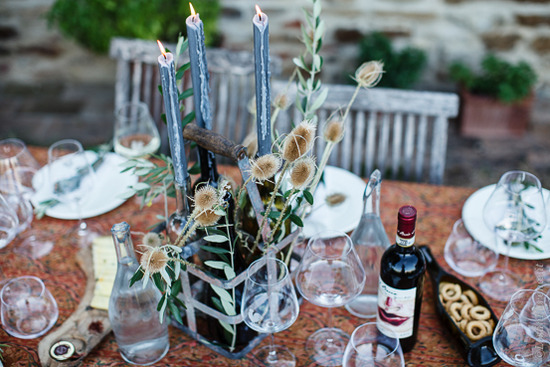 A recent dinner with KM Zero Tours at their stunning country home Montrogoli in classic Chianti countryside was a dinner to remember. And one you could enjoy too. 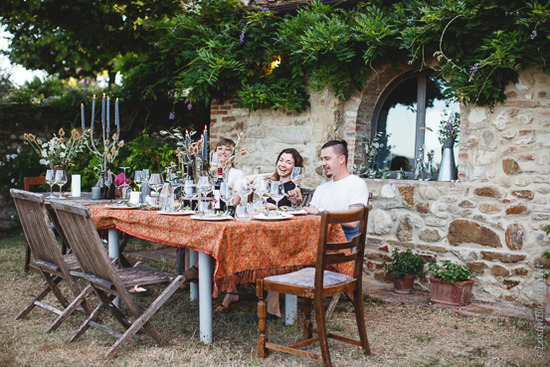 KM Zero Tour is run by charming couple, Arianna Cini and Alessio Di Genova, who are a qualified travel guide and sommelier respectively; Arianna has grown up on this her family estate, Montrogoli, developing a passion for the land and it’s produce from a young age. 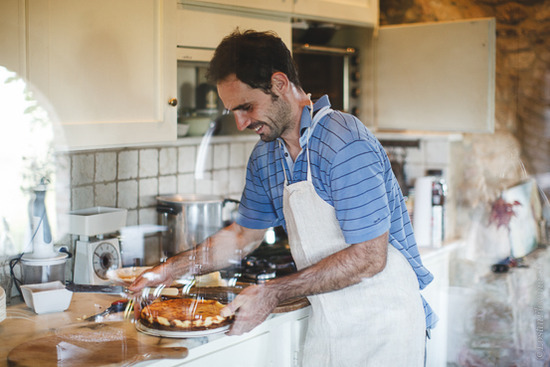 Her partner in life and love of food, Alessio, was born in Abruzzo but has lived in Tuscany for many years – six spent as a pastry chef in Bologna – before qualifying as a sommelier (passing all three levels) a knowledge today he shares with a cooking prowess, serving plates of incredible food over bottles of wine beyond the ordinary. With starters including local specialties Cecina Toscana (chickpea flat bread); carpaccio of zucchini with pine nuts, lemon and parmigiano cheese; Crostini Toscana (chicken liver pate) then cheese offerings of indulgent Carboncino delle Langhe cooked in the oven until melting; warm pecorino with chestnut honey; pecorino with saffron and pepper. This is a menu beyond expected. The pasta dish of gnudi toscani, plump dumplings of spinach and ricotta cheese, lightly coated in sage butter sauce fills plates oozing in sauce before a gluten-free cheesecake with black cherry marmalade is presented. We skipped the meat dish as the weather was so hot and by this stage we were happily full on the various plates offered so far. And then there was the wine…ten varieties including vintage bottles served by Alessio with a focus on reds which Chianti region is renowned for: from Chianti Classico to Riserva, one from 1995, the quality and care to food pair for enjoyment is paramount. 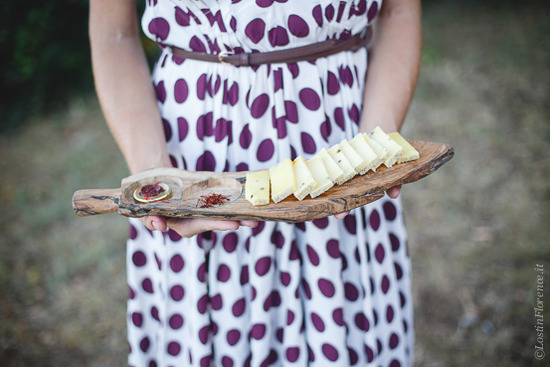 KM Zero Tours run food & wine tours all year aimed at experiencing authentic Tuscany from a local perspective, discovering the "life" of a product from farm to table. They believe in a sustainable and "slow" tourism, that supports and promotes local and authentic products and producers. 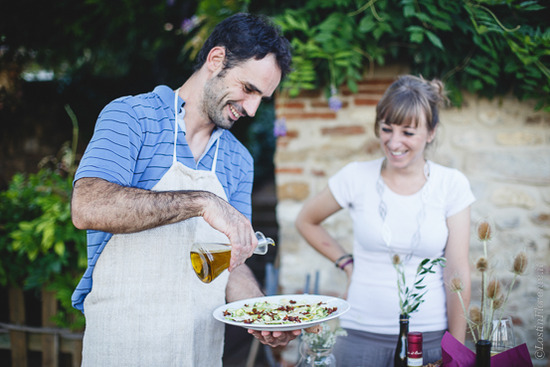 From organic wine tastings to cheese-making lessons, from slow-food cooking classes to local handicraft, their goal is for you to discover ancient traditions and the pleasure of being together at the same table, sharing stories and experiences. 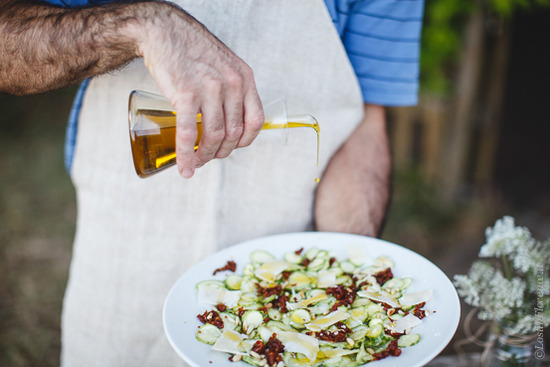 It was this love for the "slow living" philosophy with local and authentic producers that led KM Zero Tours to meet EaTravel, who share the same philosophy through organising beautiful workshops and events. In the summer, EaTravel is based in Italy before taking their event concept to other countries as far ranging as Ukraine and South Africa. Maria says their events are created “for people who see food and a long table draped in a simple linen tablecloth and think that there’s a sort of magical beauty about it because we really do”. 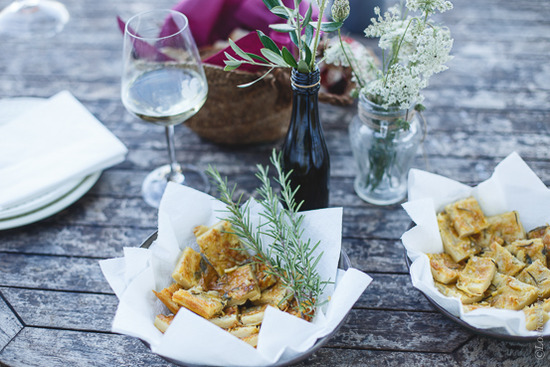 And having experienced such a dinner in stunning surrounds with local produce, there is a kind of magic created which many people, especially travellers, are looking for. 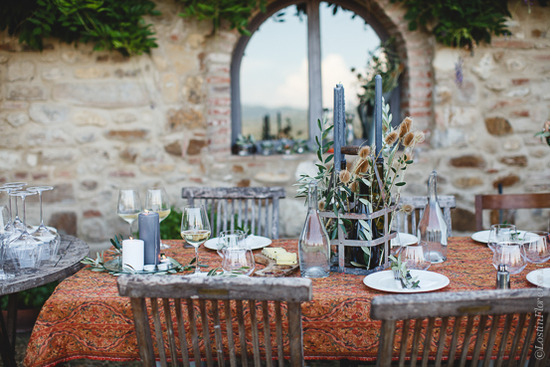 Dining under the Tuscan sun has never been so accessible in such an intimate environment and something you too can experience the next time you are in Tuscany. For more details about Montrogoli Chianti Holiday Home and KM Zero Tours unique Tuscan food & wine experiences, contact KM Zero Tours.